Perhaps the worst-kept secret in componentdom, SRAM today announces the release of the first 1×11 cyclocross group: Force CX1. 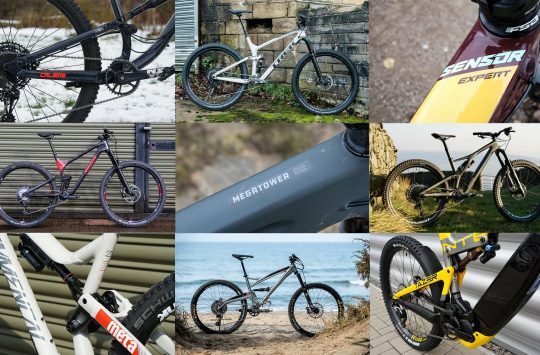 Drawing heavily on the company’s XX1 and X01 mountain bike groups, the new group offers the same security, simplicity, quiet, and weight savings that 1×11 has demonstrated in the dirt. Critically, where XX1 required significant investment in terms of dedicated freehubs, cassettes, and shifters, Force CX1 has been designed to work seamlessly with existing SRAM 10- and 11-speed components, greatly reducing the barriers to entry. At the heart of the system is an X-Horizon horizontal-travel rear mech that shares roughly 90% of its assembly with the XO1 mountain model. 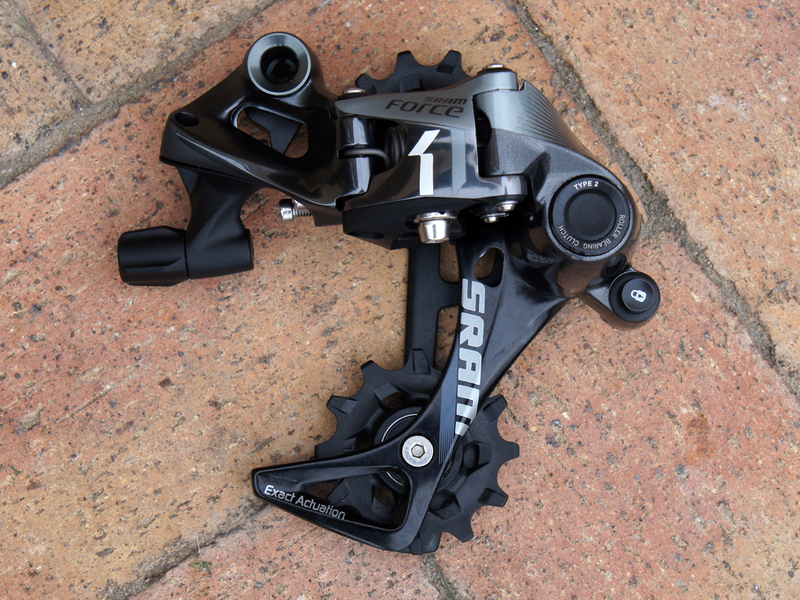 Designed to maintain a steady pulley-cassette gap across all gear ranges, the derailleur uses SRAM’s Type 2 clutch mechanism to minimise chain slap and narrow-wide jockey wheels to enhance chain retention. In a welcome move, the Force CX1 rear mech uses SRAM’s Exact Actuation cable pull to horizontal movement ratio. What this means is that the mech is compatible with existing 10s and 11s cassettes and shifters. 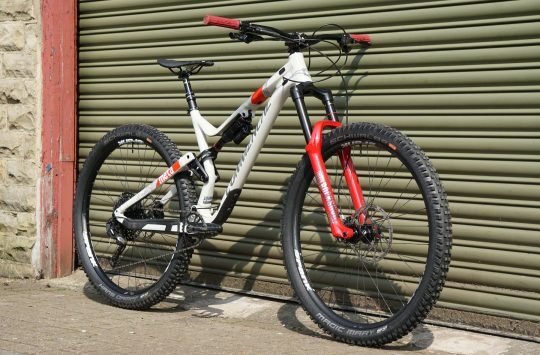 Want to make use of those old 10s Red shifters or a 10s wheelset? No problem. 11s shifters and Force CX1 mech with a mountain cassette for a super-wide range? You’ve got it: the mech will handle up to a 36t cog. 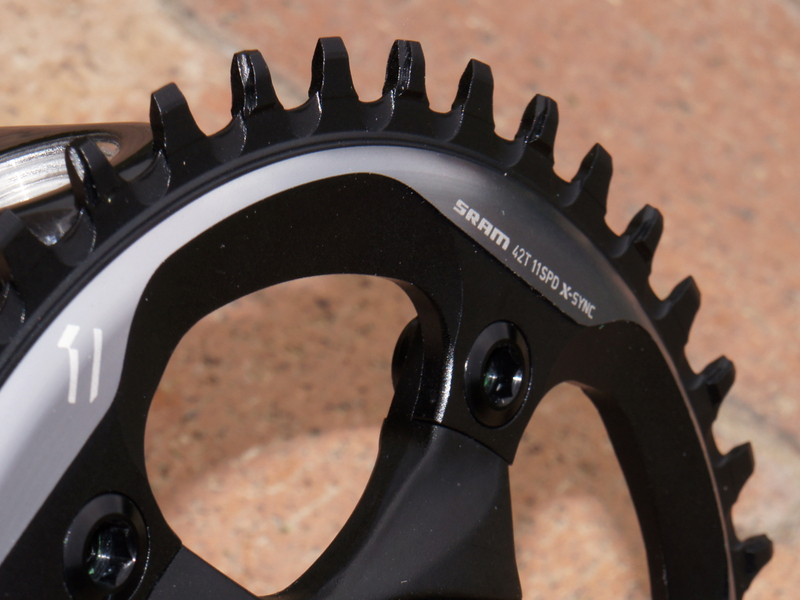 The oft-imitated (and increasingly licensed) X-Sync chainring profile has been updated for cyclocross use with deeper scallops at the base of the teeth to improve mud shedding. On the back side, the thick section of the teeth has been undercut to reduce weight. Because the chainrings’ driving characteristics aren’t compromised by the need to shift, SRAM feel that 1x drivetrains run quieter and feel more solid than doubles and triples- a claim that our XX1/XO1 experience supports. 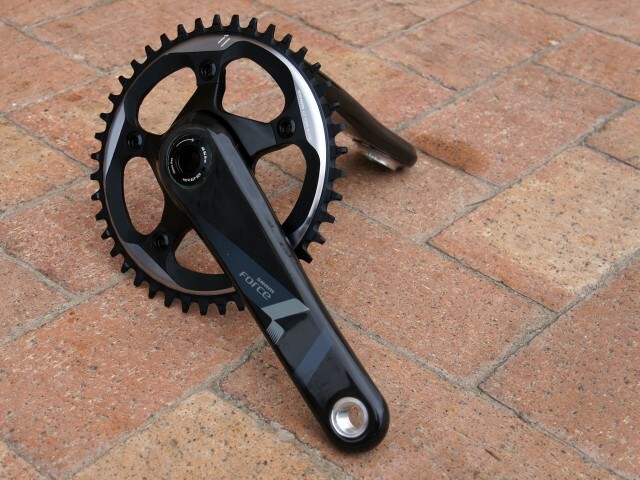 Teeth are offset to centre the chain when used with standard compact (110BCD) cranks. Chainrings running from 38t-46t (even) will be offered and ship with mid-length bolts and backers to ensure that everything comes together nicely and solidly. The chainring is designed to mesh with existing 10s and 11s SRAM road chains- no proprietary action here. Beyond the chainring and graphics, the Force CX1 crankset is shared with the standard Force compact model: carbon arms, alloy inserts, and dirt-worthy durability. Also shared with the standard Force 22 group are the PowerGlide 1170 cassettes (11-25, 11-26, 11-28, or WiFLi 11-32) and PC-1170 chain. For CX1 use, a standard Force 22 right shifter is paired with a CX1-branded 900 model left brake lever. The carbon-bladed 900 shares the Force/Red hood and lever shape for a seamless match. Budget-minded riders can gut existing SRAM front shifters- though we are warned that the process is not necessarily reversible. While the CX1 croup is exciting as presented, it’s the ability to mix and match with existing components that has us playing though multiple fantasy builds in our heads. 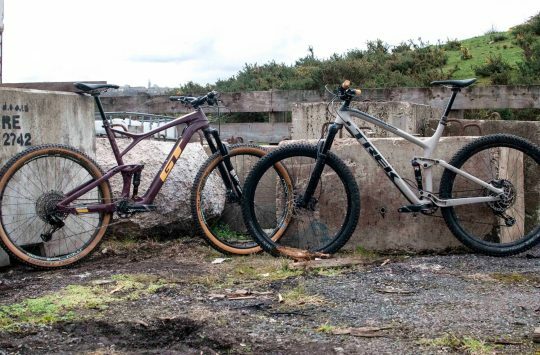 A standard ‘cross double (46-36 x 11-28) has a 325% range between tallest and lowest gear. When mated with an existing 10s mountain cassette, a 46t has a 327% range with virtually the same high and low ratios, with slightly bigger steps but far less gearing overlap. Anyone invested in an 11s wheelset will be able to use SRAM’s 1170 WiFLi 11-32 cassette with a 42t ‘ring and give up very little range. If and when larger chainrings are added, it’s easy to find combinations that will provide a wider range at less weight than the traditional 53-39 x 12-26 road setup. As much as they liked the idea internally, SRAM was taken aback by the success of their mountain 1×11 drivetrains: sales have been eight times greater than expected. Whether they can repeat that success on the hidebound road side remains to be seen, but ‘cross seems like an ideal gateway. 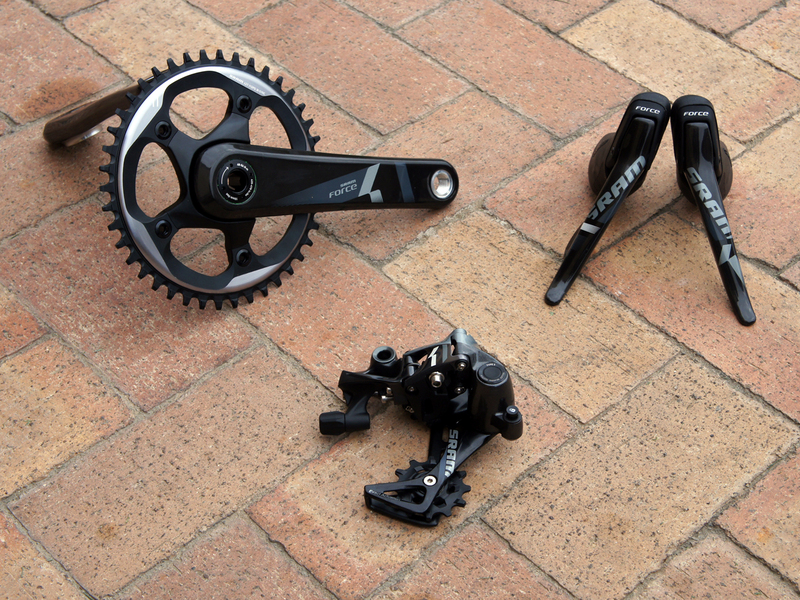 Force CX1 components should begin shipping in May. Fantastic, is there any idea on price yet? Cable – at the moment, though we’d expect the trickle-down (trickle-up?) 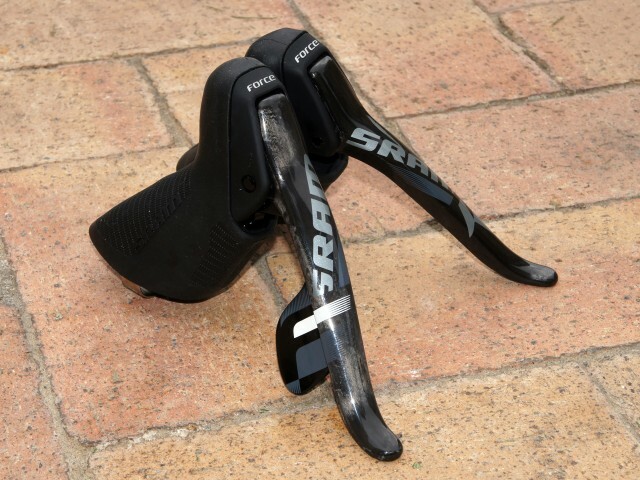 to be pretty rapid once SRAM has sorted its hydro road setup this spring. Interesting about 1×11 selling 8x expectations. That and Pikes seem to have caught everyone’s attention this year.